Brazilian Jiu-Jitsu (BJJ) is a martial art that revolves around grappling. The art is designed to teach an individual to control a resisting opponent in ways that force him to submit. Jiu-Jitsu focuses on taking an opponent down to the ground and wrestling for a dominant control position. Brazilian Jiu-Jitsu is a sport in which a person with lesser size, strength, and aggression can control and overcome an individual with greater size, strength, and aggression. To do this, students learn to utilize superior leverage, grip, and position on their opponent. Students that practice the sport will gain a broader understanding of the mechanism and limits of the human body. The art of Jiu-Jitsu is both physically and mentally demanding allowing practitioners to utilize problem solving and critical thinking skills. Aside from the self-defense benefits, students increase physical fitness, increase mental focus, and gain self-knowledge of their body. Most importantly, students are able to learn and grow with people that share the same passion. Classes at the academy are taught four days a week and start with a strength building warm up and are followed by demonstration and practice of different techniques. Students also have the opportunity to participate in live grappling with other students that are on or near the same level. Overall, Brazilian Jiu-Jitsu is a great workout and teaches realistic self-defense application that both men and women can utilize and enjoy. 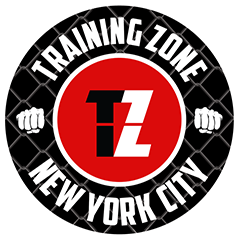 Whether you are looking to compete OR train solely for self-defense purposes, Renzo Gracie Ozone Park will cater to your needs. Our highly skilled black belt professor is dedicated to coaching and guiding our students. We have proudly competed in numerous tournaments such as Good Fight, North American Grappling Association (NAGA), New Breed, Pride, and much more! Our students have placed gold in multiple events effectively displaying their skills.  For those looking to train solely for self-defense purposes, Renzo Gracie Ozone Park provides students with the knowledge to defend themselves confidently. 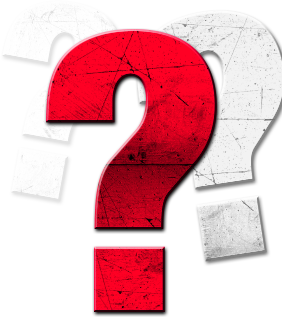 Why Choose Renzo Gracie Ozone Park? Renzo Gracie Ozone Park/Training Zone NYC Inc. is the only school in the area that is affiliated with the Gracie system of teaching. Renzo Gracie is a world-renowned practitioner of Brazilian Jiu-Jitsu and is the grandson of the late Carlos Gracie, founder of Brazilian Jiu-Jitsu. The Gracie family consists of Jiu-Jitsu professors and fighters who have changed the current state of martial arts instruction worldwide. This system of teaching has proven effective with numerous professional fighters such as Georges St-Pierre, Frankie Edgar, Chris Weidman, and Matt Serra. By choosing our academy, you are learning Jiu-Jitsu from a Renzo Gracie and John Danaher black belt professor with over 13 years of experience.